Female money: coming soon to a mint near you. The internet exploded when it was leaked that Harriet Tubman would be the new face of the $20 bill. People went wild with discourse, debate, and excitement for this advancement in U.S. currency, but no one’s getting photos of the Tubman bill until 2020, and due to new technologies in counterfeit security and texture for the visually-impaired, the Mint says they honestly have no clue when the bills will be physically released to the public. The current blue strip on many U.S. bills took fifteen years alone to develop, so estimates for future invention are unsure. 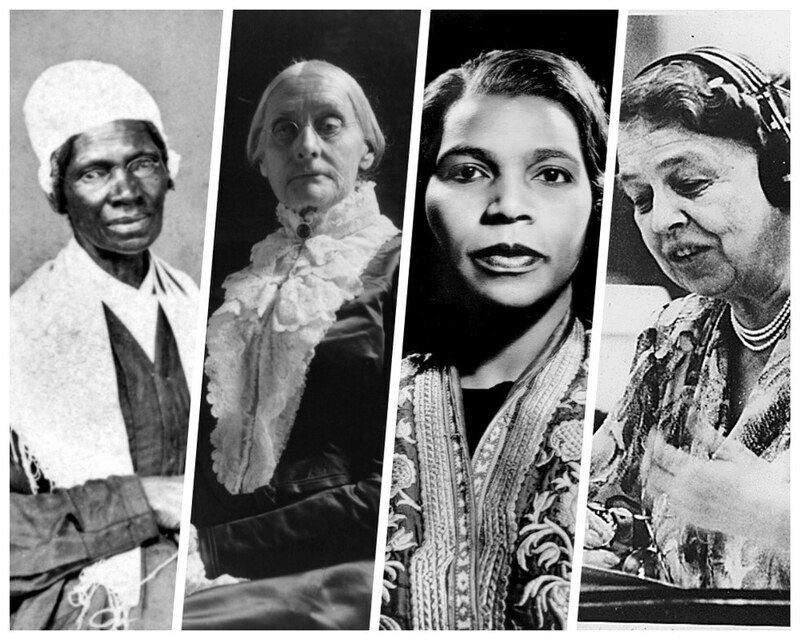 But when Tubman finally reaches the people the Mint plans to put out other $5 and $10 bills depicting many of America’s most famous women, such as Susan B. Anthony, Sojourner Truth, Marian Anderson and Eleanor Roosevelt. However, we’ll get a revolutionary form of currency within the next four months of this year. Well, sort of. An African-American woman is representing Lady Liberty on the U.S. Mint’s 225th anniversary commemorative coin. This is the second U.S. coin featuring a woman of color, the first being the Sacagawea gold dollar. It has been particularly specified that the depiction is an African-American woman, but not any particular historical figure. It is made of 24-karat gold and officially valued at $100. This constitutes the “almost.” While it is currency created and licensed by the U.S. Mint, it’s aimed at being more of a collector’s item rather than everyday pocket change. 100,000 will be made and estimated retail prices for the collectible exceed $1000. More details about the coin will be revealed as the April 6 release date approaches. 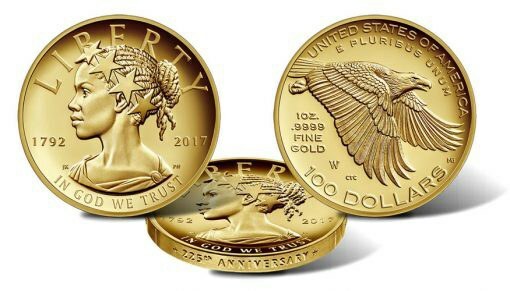 After the coin comes out the Mint plans to design others depicting Lady Liberty as Asian, Latina, and Indian, “to reflect the cultural and ethnic diversity of the United States,” (x). Especially now in a time of civil unrest and political chaos in the U.S., these coins and bills stand to represent the diversity that makes America what it is and honor the fact that not all of America’s greatest feats were made by white men in wigs and/or suits, especially in the twentieth and twenty-first centuries. It honors our political and cultural efforts, still greatly a work-in-progress, to make America inclusive and accepting to all peoples. It’s an important start to make America’s face reflect its history, to make its symbols representative of those they symbolize, and to give reverence to those whole built this nation, both politically and socially. In celebration of the Mint’s 225th anniversary, the Mint is going to make a coin that helps truly represent America.